It’s back to school time! Once again MHP took part in the 28th annual Operation Back to School this year and we thought we would share some of our back to school photos. It’s school time again! You might be a little sad that summer is over or maybe even excited for the fun that Fall brings, but just imagine how your kiddos are feeling. Did you know that it typically costs $50 to outfit a student with basic school supplies? This figure doesn’t even factor in the clothes and shoes that often accompany the crayons and notebooks! The 28th annual Operation Back to School, sponsored by Needs, Inc., Laramie County Community College, Laramie County School District #1 and F.E. Warren Air Force Base took place earlier this summer. The groups collect school supplies to be distributed to elementary, junior high, high school and college students throughout Laramie County. MHP employees were more than happy to contribute to such a worthwhile cause. We believe that every student should have the opportunity to start the school year excited, prepared and ready to learn. Collectively employees donated $250 and two large boxes of school supplies to help support the effort. While some kids welcome school with open arms and big smiles, others are nervous and a little scared on the first day of school because of all the new things: new teachers, new friends, and maybe even a new school. Luckily, these “new” worries only stick around for a short while. 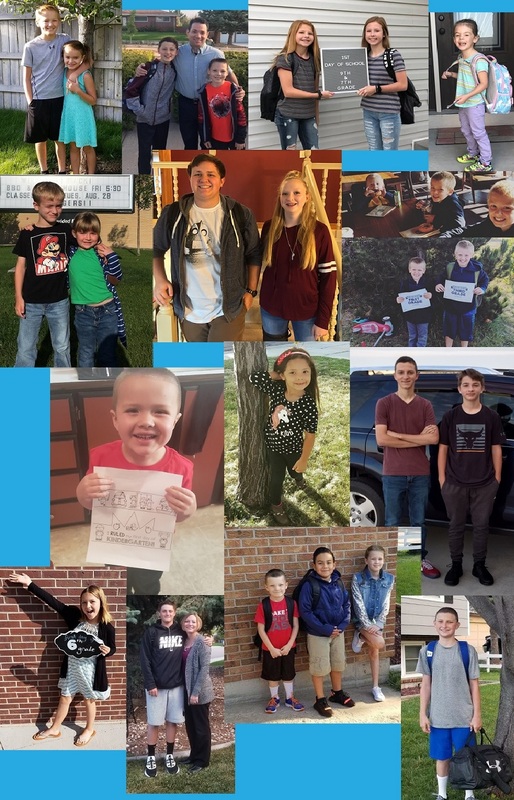 One of our favorite parts of the “back to school” season are the thousands of pictures taken on the first day of school. Some smile and some cry, this includes the parents as well, but with each picture it is a reminder that this is the start of something new and a preview of the adventure that awaits. We thought it would be fun to share pictures of the cute kiddos from some of the parents at MHP.